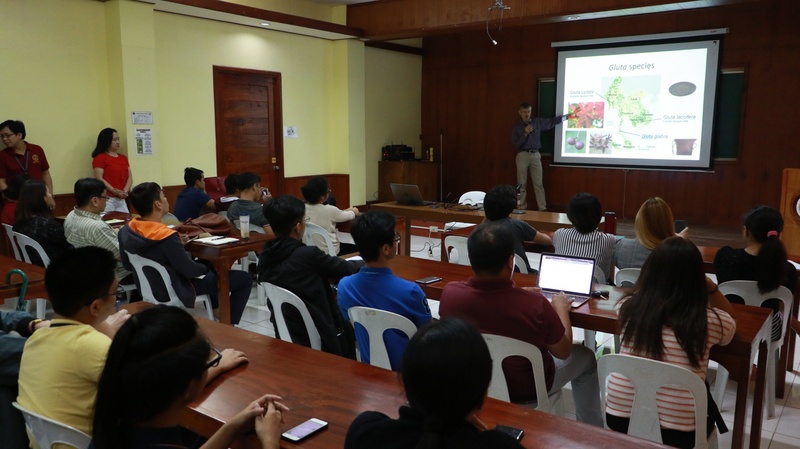 Students, researchers and faculty of the College of Forestry and Natural Resources (CFNR) were given the chance to learn from one of the leading international forest scientists through a special lecture held on Jan. 28 at the AV Manza Room. Using genome sequencing in forestry, Dr. Valkaert said, allows a wider and deeper insight into studying trees and forests while also saving time and resources. According to knowgenetics.org, whole genome sequencing involves determining the identity of DNA nucleotides that compose a genome, which contains the complete genetic information of an organism. .
Dr. Valkaert said that this can be particularly useful for industries that use specific types of trees for their products and for the reproduction and conservation of tree species. Forestry, he added, can develop genome sequencing to study tree populations in past climates and predict how forests will react to climate change today. He also emphasized the need for forestry to adopt new research tools such as genome sequencing to remain efficient. “We need to teach future generations the techniques that will be used 10-20 years from now,” he said.